Mr. Bakas is the Executive Vice President of Ameresco, a leading energy efficiency and renewable energy company. He is a member of the founding management team of the 17-year old public company (NYSE:AMRC). Mr. Bakas has over 26 years of experience in the energy industry and has been at the forefront of the strategic development of renewable energy assets. As a pioneer in the renewable energy industry, he drove and completed some of the earliest agreements that helped shape the protocols and the markets in those states that first implemented renewable portfolio standards. Ever since, he has driven the growth of Ameresco’s renewable energy portfolio to become one of the leading energy services providers in North America. Additionally, Mr. Bakas is instrumental in Ameresco’s corporate strategic planning and global business growth. Mr. Bakas directs Ameresco’s Distributed Energy Systems Group, which is primarily responsible for the development and operation of energy generation assets both domestically and internationally. This group, led by Mr. Bakas, has successfully developed in excess of 300 eMW of small infrastructure energy supply assets. He has been key in fostering and supporting legislation that promotes the use of renewable resources. Due to Mr. Bakas’ expertise and foresight, Ameresco and its customers have won numerous awards from the U.S. EPA, the Department of Energy, the Climate Change Business Journal, state agencies, and other industry organizations. Mr. Bakas has a solid track record of development, marketing and management of a wide array of energy services from the retail sale of power and natural gas to the successful development of energy service and energy saving efficiency projects throughout the nation. Mr. Bakas is an active member of the U.S. EPA’s Landfill Methane Outreach Program, National Association Energy Engineers, the Greater Boston Chamber of Commerce Energy Committee, and many other national and local organizations. As an industry expert, Mr. Bakas is often invited to speak at industry and customer forums where he typically addresses topics such as Energy Efficiency, Distributed Energy Systems, MicroGrids and Renewable Energy. He is regularly sought out for expertise and opinion, and has been involved in both radio and televised interviews. Over his career he has been tapped to provide his expertise and guidance regarding energy issues in states from California to Massachusetts, as well as to participate in discussions setting direction for Federal, state and local energy policy. In June 2017, Mr. Bakas was invited to provide expert testimony before the Clean Air Congressional Roundtable session hosted by U.S. Senator Tom Carper at the U.S. Capitol. Mr. Bakas is frequently quoted in industry and business publications. Over the course of his career, he has written a number of articles and is most recently published in Distributed Energy Magazine. Ms. Bulgarino is the Executive Vice President & General Manager, Federal Solutions of Ameresco, a leading energy solutions company. She is responsible for the overall management of Ameresco’s dedicated business unit serving federal government customers. Ms. Bulgarino has nearly 20 years of experience in developing and executing energy efficiency and distributed energy solutions. Ms. Bulgarino has overseen the development and implementation of over $1 billion in federal energy projects. She serves as the Company’s representative for federal energy savings performance contracts and federal agreements for distributed generation. As the general manager for Ameresco’s federal group, Ms. Bulgarino oversees 200 professionals specializing in business development, engineering, commissioning, construction, operations and maintenance, and measurement and verification supporting comprehensive energy solutions. Ms. Bulgarino is experienced in the design and development of demand side energy efficiency projects including deep energy retrofits, advanced microgrids and customer-sited power purchase agreements (PPA). She led the project development for a 60 percent energy reduction deep energy retrofit for the U.S. General Services Administration, and recently oversaw the development of an advanced microgrid project incorporating energy storage for a large Marine Corps customer. She also led the development and execution of an onsite 20 megawatt solar photovoltaic PPA for the Army. Previously, she served as the lead engineer for the development, design and start-up of the U.S. DOE Savannah River Site Biomass Cogeneration Facility—the largest federal biomass facility constructed under the largest renewable energy savings performance contract. Ms. Bulgarino is a licensed professional engineer and earned a Bachelor of Science degree in chemical engineering from the University of Tennessee and an Executive Management and Leadership Certificate from the Massachusetts Institute of Technology. 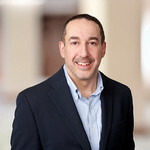 Mr. DeManche has served as Ameresco’s Executive Vice President, Engineering and Operations since 2002. 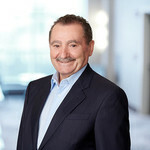 He has more than 30 years of experience in providing energy engineering, design, construction, operations and maintenance services for a full range of commercial, institutional, industrial and utility clients. He has overseen the design, construction, and operations for hundreds of millions of dollars in shared savings and performance contracts for large‐scale energy efficiency upgrade projects. 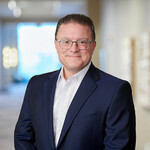 Mr. DeManche joined the company as a result of Ameresco’s acquisition of DukeSolutions Inc., where he most recently served as Executive Vice President in charge of all commercial operations. 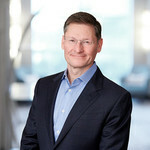 Mr. DeManche was previously the Chief Operating Officer of Energy Investment, Inc. – a predecessor company of DukeSolutions. Mr. DeManche earned a Master of Architecture degree from Harvard University and a B.S. from the Massachusetts Institute of Technology. He is also a registered Professional Engineer in many states. 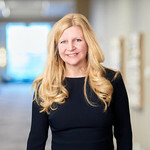 Ms. Dillon joins Ameresco with more than 20 years of experience in leading corporate marketing and communications, platform strategy, and business development initiatives for global technology companies. Prior to joining Ameresco, she served as Vice President Marketing and North American Distribution Channel for Bigbelly, Inc., a leading provider of Smart City, Internet of Things (IoT), and smart waste management solutions. With a core focus in IoT, Smart City, Cloud, Mobile and Telecommunications, Ms. Dillon is a recognized leader for women in technology. 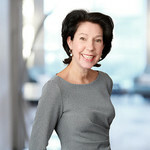 Focused on the municipal and higher education markets, she is on the Program Committee for the IoT Solutions World Congress, has chaired global buildings & infrastructure programs, and has led international plenary sessions on women leadership in IoT, Smart City PaaS, and multi-purposed smart infrastructure platforms.